If you're a pastor and you know parents who have recently received an Autism diagnosis for their child, the last thing you should do is hand them a book. But for those who have settled into the new reality of parenting a child with unique needs and are asking for resources, these are the books I recommend. Moreover, I recommend reading them in this order. 1. 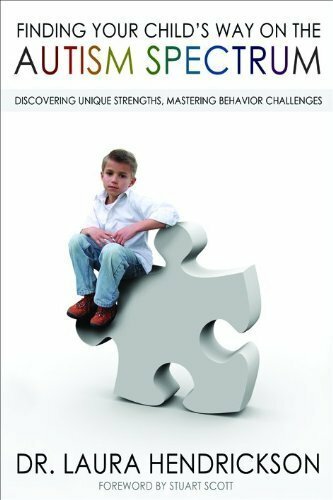 Finding Your Child's Way on the Autism Spectrum: Discovering Unique Strategies, Mastering Behavior Challenges by Dr. Laura Hendrickson, (Moody Press, 2009). The late Dr. Hendrickson, who was trained both as a psychologist and a biblical counselor, left us with this hopeful and practical book. Two appendices, one which provides counsel for those in the diagnosis process and a second for parents selecting a behavioral treatment program, are helpful for parents soon after diagnosis. Her glossary of terms is a practical support for those who are drowning in all of the new jargon. Chapters on social skills, rituals, relationships, managing emotions, and discipline are biblical, hopeful, and they provide a careful nuance. Hendrickson was confident that parenting a child with unique needs is very different from parenting typical children, and she encouraged parents to look for God's purpose in their child's unique way. 2. 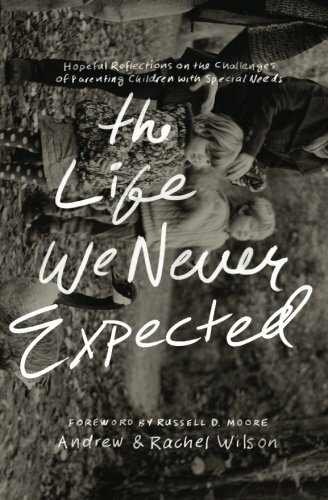 The Life We Never Expected: Hopeful Reflections on the Challenges of Parenting Children with Special Needs by Andrew and Rachel Wilson, (Crossway, 2016). When a child is first diagnosed with special needs, parents are in survival mode. But the moment there is margin, all of the emotions begin to flood. Andrew and Rachel Wilson are vulnerable about their deep pain and the deep joy they've discovered in unexpected places. With raw honesty, they share about the challenges they face on a daily basis--all the while teaching what it means to weep, worship, wait, and hope in the Lord. This book will challenge you and help special needs parent grieve the new life God has given them. 3. 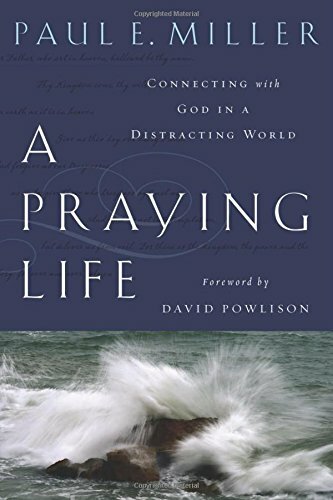 A Praying Life: Connecting with God in a Distracting World by Paul E. Miller, (NavPress, 2009). Paul Miller defines 'the desert' as the space between our hopes and reality. Few people know quite how this place feels like a special needs parent does. Miller has a daughter, Kim, who struggles with Autism, along with two typically developing children. He knows the battle of living a godward life when so many prayers are deferred. Kim brought Jesus into our home. Jill and I could no longer do life on our own. We needed Jesus to get from one end of the day to the other. 4. 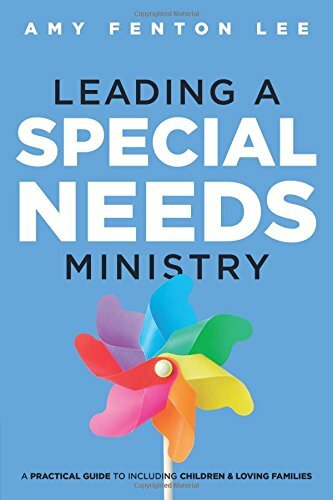 Leading a Special Needs Ministry: A Practical Guide to Including Children and Loving Families by Amy Fenton Lee, (B&H Books, 2016). Not every parent of a child with special needs is called to start a special needs ministry. Many would find this to be an unnecessary burden. But God does comfort us in our afflictions so we can in turn comfort others with the same comfort we've received from him (2 Cor. 1:3-5). For those who will step into ministry to other special needs kids and families, Amy Fenton Lee gives a step-by-step guide for accommodating and including children and loving families. Specific sections of this book dedicated to laws and trends as well as behavior and participant safety make this an excellent start-up guide. 5. 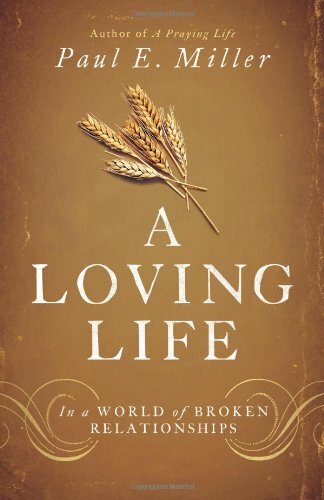 A Loving Life: In a World of Broken Relationships by Paul E. Miller, (Crossway, 2014). In this exposition of the Book of Ruth, Miller grounds a life of love in the sacrificial, covenant love of God. He also reminds us that the Christian view of history is a J-curve. It's death followed by resurrection. For suffering caregivers like special needs parents, this is an important theological truth. Because Christ lives, we can move from bitter despair to a place of loving hope. Because he first loved us, we can continue to serve and be helpful to others. We can continue to care even when we receive nothing in return. What other books would you include? Are there any that I've left off the list? We have all gotten angry about someone else’s behavior. My son is autistic. At this point in his development, he seems perfectly content to resist potty training. It seems that he'd just prefer to remain in his foulness. I tell myself not to get frustrated in those “Not again” moments. I pray God will give me greater strength and patience. Certainly the Sovereign Lord could throw me a bone and help me out! I’m tired of saying “not again” and having to apologize to my special needs son for getting so angry with him. I’m tired of humbling myself and having to repent of my sin over and over again. In those moments, God reminds me that I'm just like Elias. I'm content to stay in my poop. With a gentle nudge, the Spirit reminds me that it is His kindness that leads me to repent (Romans 2:4-5). I do not need to indulge my hard heart. I sigh as I hold my washed son, and he hugs my neck. God uses suffering to bless me once again. He reminds me to turn away from my false hope in a higher functioning child or easier circumstances. He reminds me to rest in His strength and return to the forgiveness he offers through the cross of Christ. I don’t need more personal strength. I need to die to myself so that I may live again in the resurrection life Christ gives to me (Galatians 2:20). In my weakness and rottenness, I must return to Him. Yes, again and again! Dr. Heath S. Rickmond is husband to Jackie and dad to Elias and Ansley. He holds his Ph.D. in systematic theology from The Southern Baptist Theological Seminary. He teaches Bible and technology at Christian Academy Southwest in Louisville, KY. Heath says, "I'm a justified beggar showing other beggars where to find bread. I'm a nerdy hero who wishes he was super." Andrew and Rachel Wilson have written a book that I think will be a Christian classic for parents of special needs children. Through a repeated cycle of obedience and lamentation (weeping, worshiping, waiting, witnessing, and breathing), The Life We Never Expected teaches us to grieve and to laugh and to trust. A fantastic extended family has helped practically in a myriad of ways. Our group of friends and church network have given countless kind words and prayed faithfully. Our experience of interacting with friends and relatives through our whole journey has been superb. At the same time, though, we know that this is not always true for everyone. Some reactions, however well intentioned, can be extremely unhelpful. So since it is hard to know what to say when people are going through a hard time, and since words have such power to build up or tear down, we though it might be good to give a few suggestions on how to respond when friends or relatives of your are hit by disabilities, particularly in the case of their children. In saying this, please know that we have gotten this wrong as much as the next person! First, sympathy alone is more helpful than trying to cheer. So many find it hard to stop at "That is so hard, and I am so sorry." But looking for an explanation or a silver lining too quickly can do more harm than good. This is especially important for parents of autistic kids. She writes, "The reality is that most children with disabilities won't be among the savant few and won't have their whole worlds turned upside down by horse whispering or crochet or the latest therapy fad, and there is, consequently, a very real reason to grieve." Second, practical acts of service are enormously powerful. Often Christians want to pray for healing but no one offers to provide one-on-one care for a child with needs while the parents attend a church gathering. While reading this section, I gave thanks for the special needs ministry at our local congregation and for the many women who have spent time in our home each week taking care of Lucy. But I was reminded about the weeks during our diagnosis process when I could have better cared for Megan simply by asking others in our church to prepare a meal. I was also reminded that the population of special needs children in churches is 73% lower than the population in public schools. Practical service of grieving caretakers is a great need. Finally, it should be acknowledged that those around the special needs family suffer as well. Grandparents, siblings, and close friends also grieve a difficult diagnosis. Rachel writes, "We have really benefited from the speed with which those around us have come to a place of acceptance and the fact that we have not had to justify decisions about schooling, mealtimes... More than almost anything else, we have really appreciated the leeway we have been given by friends and colleagues to miss birthday celebrations, duck out of evening events, arrive at things late, leave things early, or retreat with children into bedrooms (during parties) and side chapels (during weddings)." At the same time, those closest to a special needs family have had their dreams rearranged as well. Just as those around us have a role to play in helping us, we also have an important role in helping them too. How do you receive Rachel's counsel? If her words are an encouragement to you, pick up the book and leave an encouraging comment below.